Beattie's Book Blog - unofficial homepage of the New Zealand book community: 30 Excellent Bookstore Windows From Around the World - including one from NZ ! 30 Excellent Bookstore Windows From Around the World - including one from NZ ! If you’re a reader of this space, you already know how we feel about bookstores. Namely, we rather appreciate their beauty. But do you know what else we like? Window shopping. And for window shopping, just like for regular shopping, bookstores are pretty much the best. But how to window shop at bookstores out of striking range from your favorite reading nook? Why, with this list of 30 excellent bookstore windows from around the world, of course. Some are magnificently decorated, some are humble, but all of them are interesting. Points for cleverness, beauty, irreverence, and evidence of being on the verge of overflowing with books. 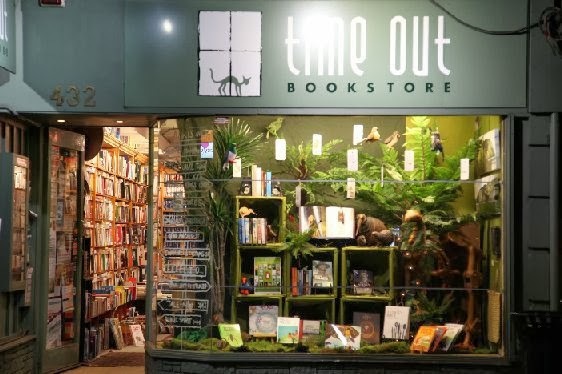 Check out a handful of excellent bookstore windows from around the world after the jump, and since there are many more where these came from (and bookstore windows are always changing! ), link us to any great ones we’ve missed in the comments.